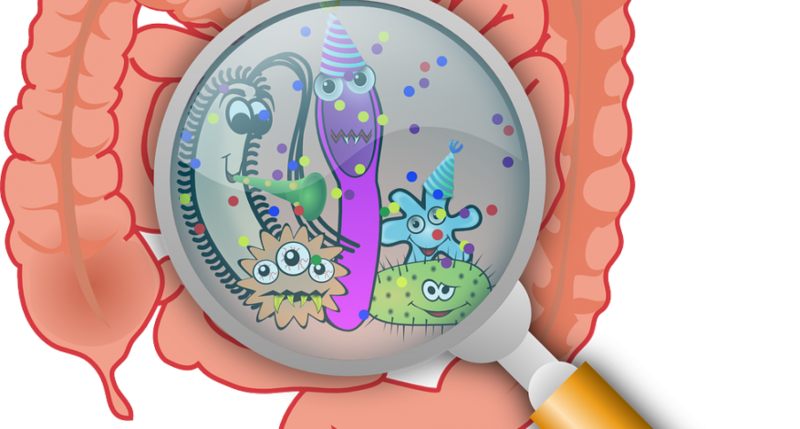 HomeBlogResourcesUnderstanding HSThe Skin We’re In: Part 2: How Does the Microbiome Get Imbalanced? Diet plays an integral part in keeping our gut microbiome in balance. Eating healthy foods with vitamins and prebiotics is essential to overall better health, but is vitally important in keeping the microbiome in functioning condition. A prebiotic is non-digestible parts of food that ferments when it reaches the large colon. That fermentation process creates bacteria colonies that are beneficial to our microbiome. Examples would be bananas, the skin of apples, beans, onions and garlic, asparagus, sauerkraut and pickles. According to Dr. Robynne Chutkan, poor diet is not the only contributing factor to disrupting our microbiome. Her book, The Microbiome Solution: A Radical New Way to Heal Your Body from the Inside Out, suggests that using antibacterial cleaning products – such as soap and hand sanitizers – contribute to the imbalance. Antibiotics are not the only drug-related culprits. Steroids, hormones, acid-blockers and NSAID pain relievers like Ibuprofen, can throw the microbiome into imbalance. No reference of substitutes for these medications was indicated. There are also environmental aspects to consider. Pesticides, fertilizers, stress, seasonal changes, chlorination in water, food additives, microwave usage, and sugar substitutes may all be contributing factors, though more information and studies are needed to determine the extent to which these elements contribute to the disruption of the microbiome. Kashdan, Jason. August 26, 2015. CBS This Morning. You may be damaging your body’s ecosystem and not even know it. Retrieved from https://www.cbsnews.com/news/imbalance-body-microbiome-may-contribute-range-serious-disease/ , March 3, 2019. Cohen, Aly and vom Saal, Frederick S. March 2017. Diet, Environmental Chemicals, and the Gut Microbiome. Oxford Medicine Online. Retrieved from http://oxfordmedicine.com/view/10.1093/med/9780190490911.001.0001/med-9780190490911-chapter-6?print=pdf, March 7, 2019.